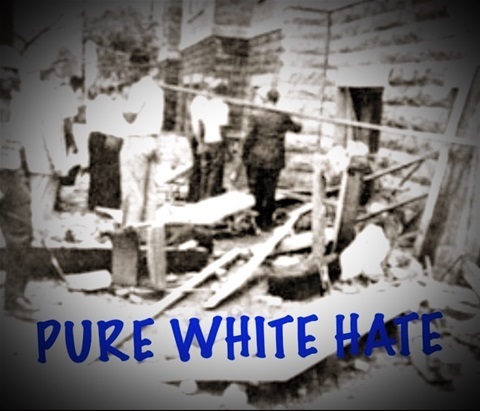 september 15, 1963 "pure white hate"
1963 was an eventful troublesome year in the historic annals of the black people's struggle in these United States. They were indeed 2 distinct America’s in 1963, one that oppressed and segregated people with no regard to how those acts of prejudice and overt racism were perceived globally, or nationally. The other America, which I lived in had an acceptable form of prejudice and racism yet didn’t blatantly ostracize its black citizens. We simply knew what was acceptable and was unacceptable and our parents geared us away from those unacceptable confrontations. We all looked after ourselves within the bounds of a collective black community. Things literally and figuratively blew up as the hidden secret of that hidden America was exposed for all the world to see on a Sunday morning 53 years ago. Oh, earlier in the year Medgar Evers was murdered cold blooded in the driveway of his home in Jackson, Mississippi right in plain view of his loving wife and children. Yet that act of terror didn’t move the needle as much as the pure act of hatred and terror that was inflicted early Sunday morning in a simple Baptist church on a simple black street in a city known then as Bombmingham, Alabama. This vicious act happened only 2 weeks after Dr. King took to the Mall in Washington to profess his dream. It took place before the bloody confrontation on the Edmund Pettis Bridge in Selma, Alabama, in 1965. It took place before the bloody confrontations in Birmingham, Alabama and Jackson, Mississippi when the Freedom Riders attempted to loosen the hold segregation had on public transportation on the interstate bus systems in the south. This act was before the murder of Malcolm X in a ballroom in New York City. This vicious act was before Stokely Carmichael called for black power in a field in Greenwood, Mississippi, in 1966. This vicious act was before Bobby Seale and Huey Newton launched a movement in Oakland, California that shook the nation and moved to direct confrontation between this group of activists and law enforcement. This vicious act was before the US Congress finally agreed that the black person in America needed constitutional protection that guaranteed that their civil and voting rights needed to legislated and no longer ignored, with the Civil Rights Act of 1964, and the Voting Rights Act of 1965. Yet this vicious act of terror could be directly linked to each of these momentous points in our cause for equality. Tragically linked but linked nevertheless, simply because the incredibly high degree of white hatred directed at blacks seeking justice in the southern states. This act seared in the minds of those hoping to mask any hope for invisibility. America could no longer these white men, who were hell bent on maintaining blacks suppression in those southern states. I remember that as a nine-year-old who attended mandatory Sunday School in my mother’s church each and every Sunday. How this explosive murderous act had me excepting the worst for months afterward thinking that my church could be next. These four young ladies not even old enough to have experienced many first in life; like the first kiss or the first love were tragically decimated by the cruel act of hatred of one race towards another. What had Cynthia Wesley, Carole Robertson, Addie Mae Collins and Denise McNair done to the white race to incurred such wrath of hatred, terror, and absolute vile treatment? Who in the in the deepest recesses of HELL would put 15 sticks of dynamite in the basement of a church where young worshippers were learning about the glory of God? Why would God allow such an act of spite to occur in his house? Yet, we were living in a time where terror ruled the day. The only supposed safe haven for many black people in the south was the churches but the white haters knew that and specifically targeted those institutions to strike absolute terror into the minds of blacks living in the oppressive South. Well, the effect of disgust on right thinking Americans after viewing this atrocity live on television screens across this nation validated that something seriously was wrong in America. Those who were simply hoping that the American black would sink into the depths of despair and hopelessness were seriously mistaken. You see the murder of these 4 young ladies galvanized the struggle for equality. 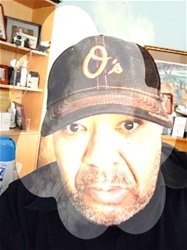 Those blown up bodies equated to a call for action, immediate and concerted action, a call to arms that this struggle could only end with the complete dismantling of that heinous white supremacist culture that had lasted far too long in this supposed land of the free and home of the brave. It was nothing brave about the actions of those white men that morning. Nor were they seeking any form of freedom. These men simply were agents of hate who felt that terror was the only option to cease blacks in America from seeking any level of equality or justice. So today this morning I remember those 4 little girls who gave up everything unknowingly but whose ultimate sacrifice should never be mitigated or forgotten.